In 2019, the centenary of the Bauhaus is a major event with many exhibitions and publications. Yet this seems likely to add to the large existing pile of information based on only a small part of the actual achievements and aspirations of Modernism during the period of its existence. 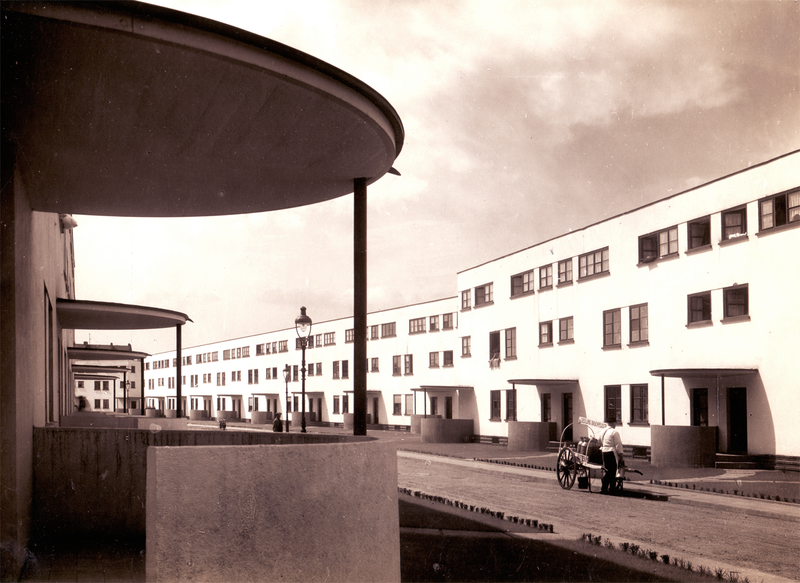 In Looking beyond the Bauhaus, the Twentieth Century Society looks more widely with the help of experts in a number of fields, to offer an exciting but more broadly-based account in which the Bauhaus can be seen in its contemporary context. This lecture will describe the outstanding achievement of the city of Frankfurt in creating new housing areas with attention to every detail of furnishing and lifestyle, set in landscapes inspired by the English Garden City movement. Wolfgang Voigt organised the major retrospective of Ernst May at DAM in 2011. All lectures are held on Thursdays at 6.30pm in the Gallery at 70 Cowcross Street, London EC1M 6EJ. Admission includes a glass of wine. Publications will be available to purchase on the night. The lectures can be booked individually or as a complete series.